Total size: approximately 10 inches by 10 inches WITHOUT grout lines. Installed size will be slightly bigger. Final measurements depends on how much space is left for grout lines. 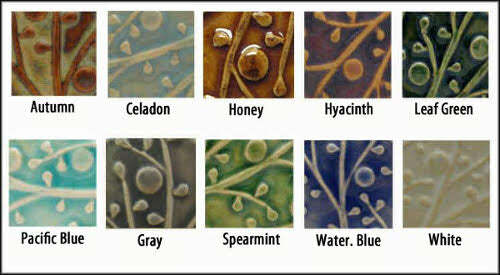 Available in any of our glazes. Shown here in leaf green glaze.